South Africa this year celebrates 16 years of the existence of its current local government structures. Our Constitution describes local government as a distinctive, interdependent and interrelated sphere of government. It is decentralised with its own legislation and policies to ensure it functions effectively. However the legacy of apartheid has left the local government sector with many challenges that have been difficult to overcome in our short democratic history. 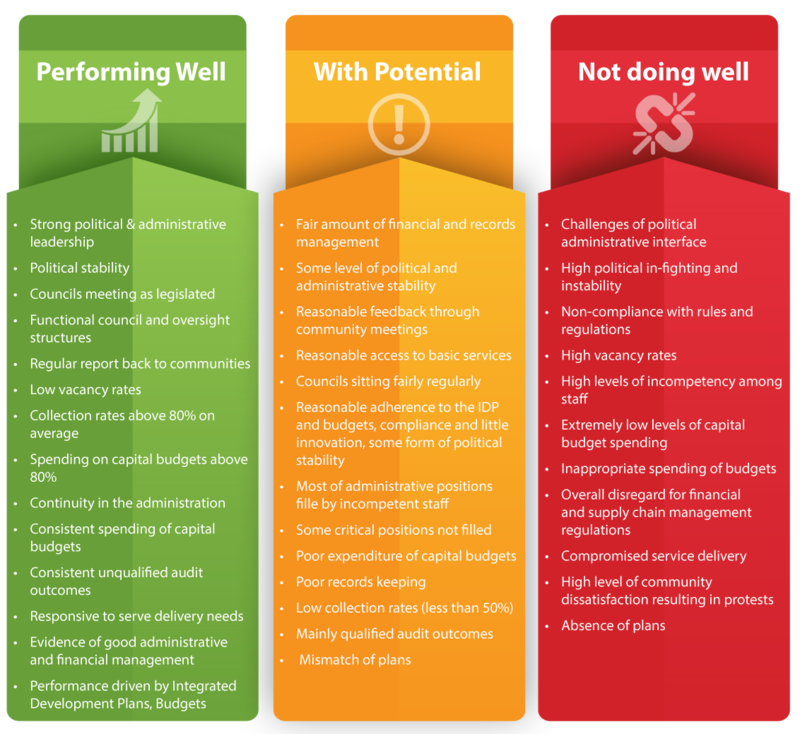 The Presidential Local Government Summit in September 2014 highlighted that these challenges vary from financial management to service delivery. Government launched its Back to Basics strategy to turn around the situation. The strategy provides a step by step plan of what needs to be done in the intergovernmental sphere to improve the performance of municipalities. There will be enhanced municipal performance monitoring, reporting and evaluation. This will allow government to address blockages and backlogs; it will also assist in corruption and unauthorised expenditure. A vital part of the plan involves developing new infrastructure at a faster pace to transform our communities, create jobs and strengthen service delivery. The new infrastructure will expand access to healthcare facilities, schools, water, sanitation, housing and electrification. Ultimately it will improve people’s lives, ensure decent living conditions and close the gap between government and communities. This plan is a game changer; it calls on all municipalities to play a developmental role in their communities and ensure that people’s dignity is restored. 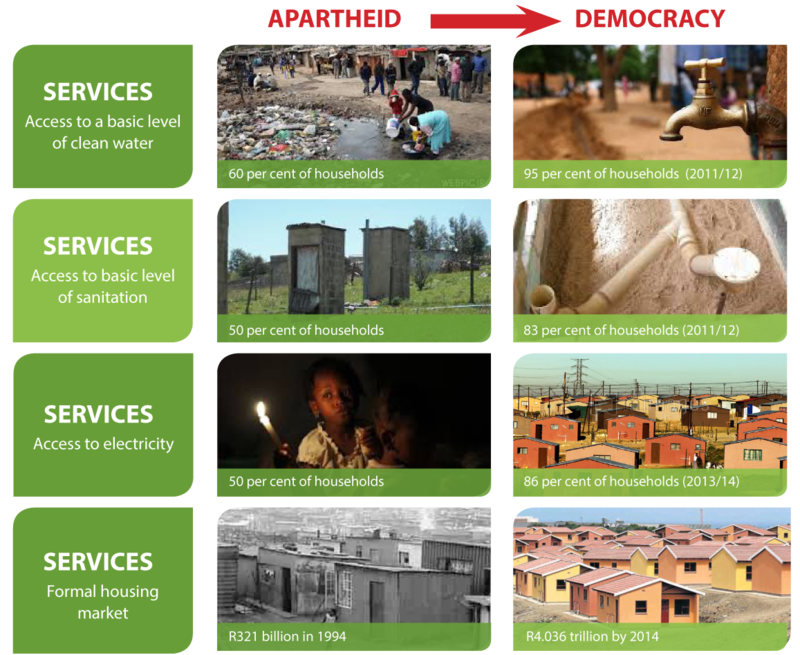 Under apartheid the majority were provided with inferior or no basic services. This changed in 1994 when for the first time services were rolled out to all South Africans. In fact our Constitution states that everyone has the right of equal access to public service. 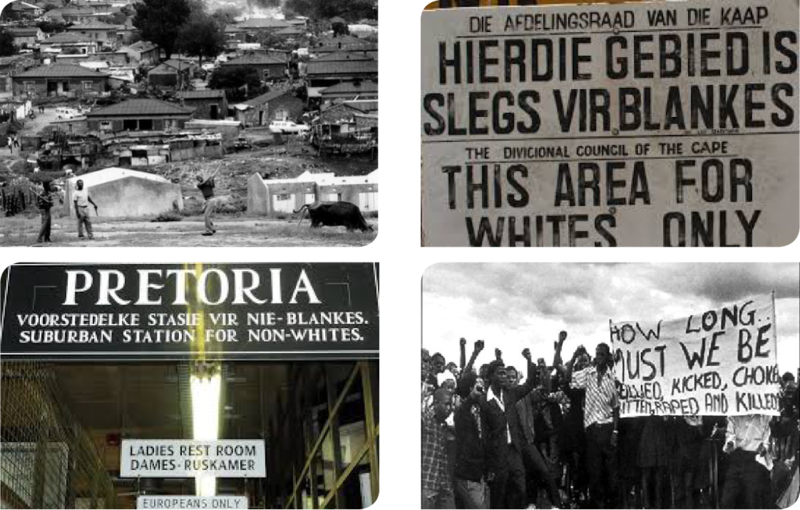 The last 22 years has been marked by seismic changes in local government which were necessary to overhaul the dysfunctional administrative and political structure the apartheid government had imposed on our nation. We effectively went from a zero base in large areas of the country to the present situation where every municipality throughout South Africa provides services to meet the basic needs of our citizens and is at the forefront of improving their quality of life. 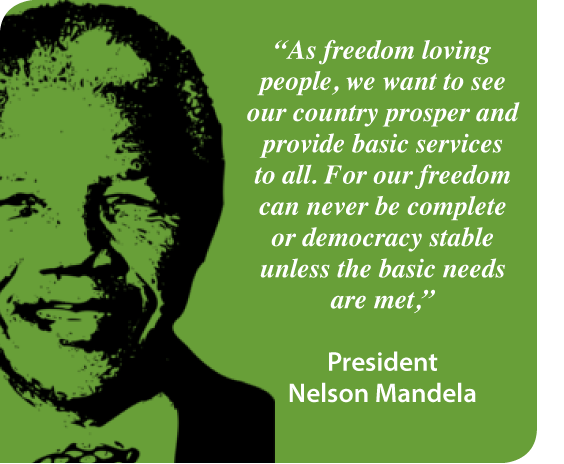 It has created a strong foundation to ensure the realisation of former President Nelson Mandela’s vision to provide services to everyone irrespective of race and gender. In order to have a better understanding of the challenges the Department of Cooperative Governance conducted a review of South Africa’s 278 municipalities as part of the Back to Basics approach. It identified municipalities that are doing well, have the potential to do well and those that are not doing well. The assessment focused on political stability, governance, service delivery, financial management, institutional management and community satisfaction. Research conducted through GCIS’ National Quantitative Tracker found that the satisfaction with local government varied according to municipal category. 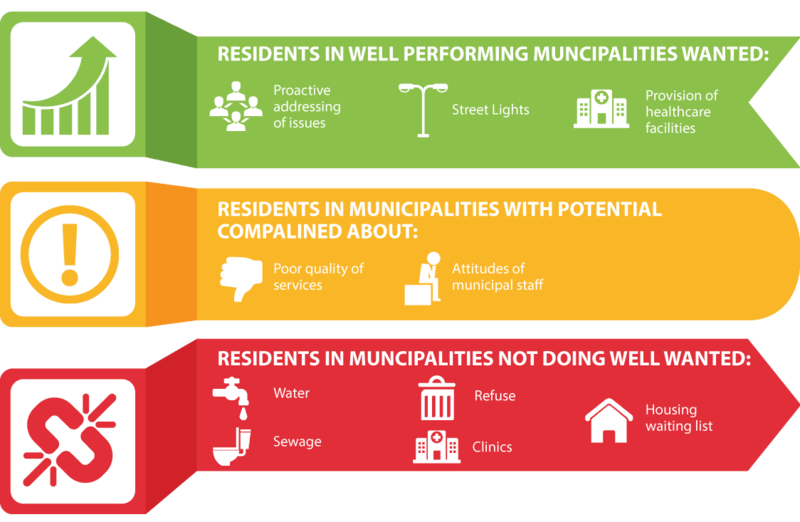 Residents in municipalities that are not doing well were the least satisfied with the performance of their local government. 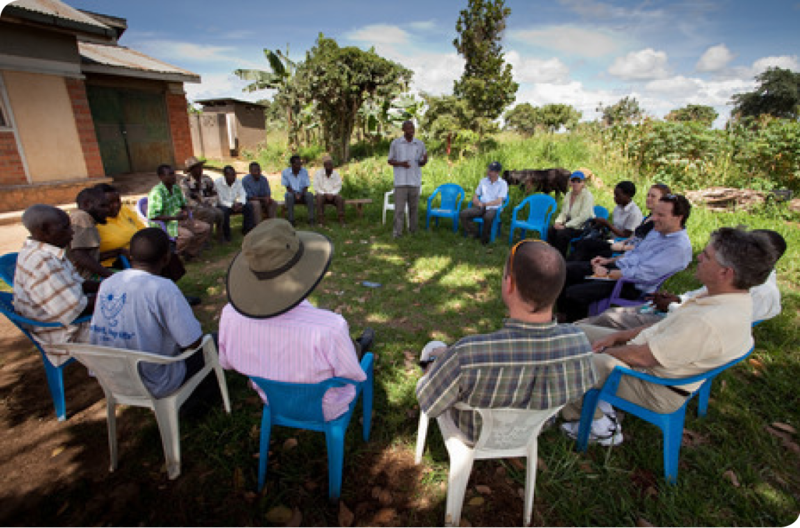 Governance is a key aspect of local government and it includes holding of council meetings, public participation, accountability and feedback of councillors to their communities. The Back to Basics approach therefore puts people first, promotes community engagement and ensures the delivery of basic services, good governance and sound financial management. It lifts communication and public participation. Through the programme municipalities put systems in place to communicate regularly with communities and disseminate urgent information. It also aims to ensure that public representatives are constantly in touch with the people, listen and respond speedily to their concerns and needs. 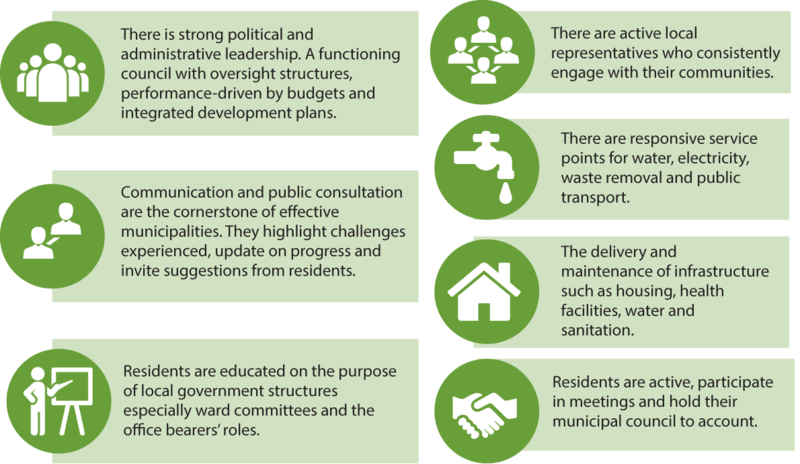 The Back to Basics approach directly addresses concerns raised in the recent GCIS Tracker research that most people, particularly in those municipalities with the potential to do well, wanted better engagement. The researched also showed that only a few of those surveyed indicated that they took the time to attend public meetings. 3. Ward councillors did not attend the meetings. Residents in the Free State, Gauteng and KwaZulu-Natal expressed positive views on communication in their local government. Over 50 per cent were happy with the level of communication they received. The preferred method of being invited to meetings differed according to municipal type. 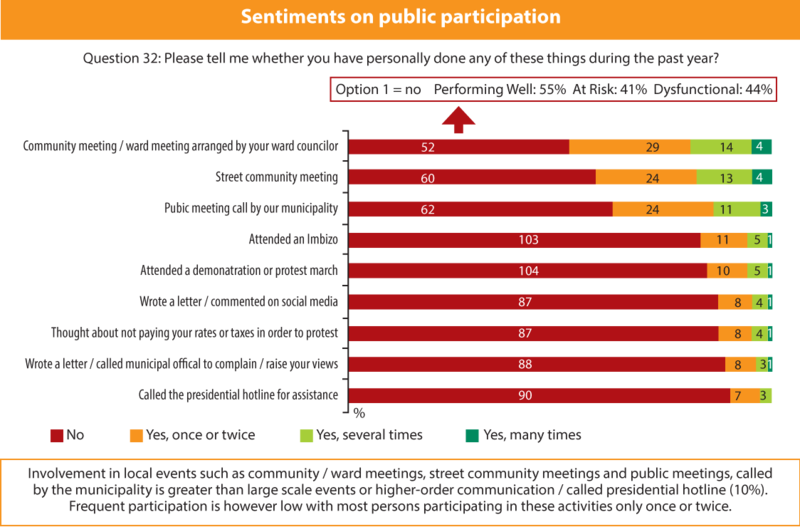 In well-performing municipalities residents preferred to be informed through social media, sms or WhatsApp. In municipalities with potential and those not performing well, residents preferred method of communication was through a loudhailer. Residents from well-performing municipalities praised their councillors who were more easily accessible. In municipalities that did not perform well there was unhappiness towards councillors who were not easy to contact. 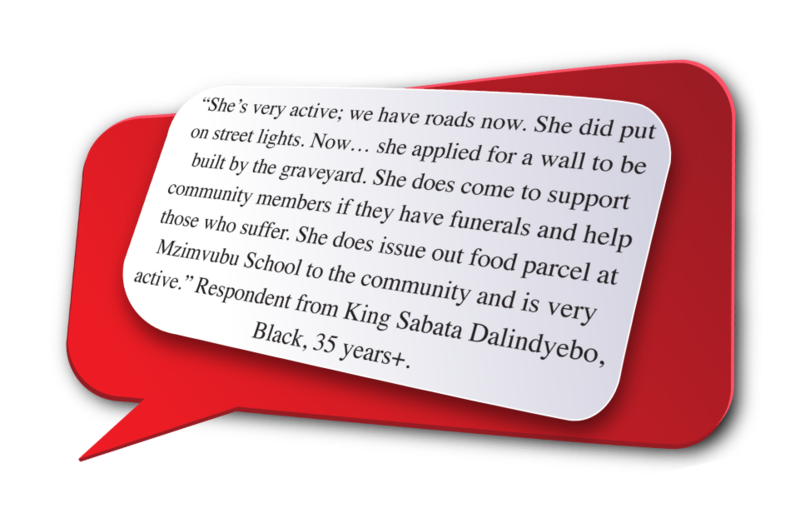 Resident in municipalities performing well expected the municipality to be proactive in addressing their problems. Those living in municipalities with potential have basic services but complained about the poor quality of these services. Residents in municipalities not performing well listed “unemployment” as a basic service delivery issue. They believed that if they had a job they could solve some of the service delivery issues themselves.